“Initiation” (Baya’h) or Oath of Allegiance is a Sunnah of Prophet (Peace and blessings of Allah be up on him) and his companions and Salafs (May Allah Sanctify their Souls). Only Sufism practice the Sunnah of “Initiation” for learning Islamic Sciences since the time of Prophet alaihiswalathu wa salam. Quran commanding to all believers to follow those pious servants who are charged with authority. ‎4:59. Sura Nisa: O ye who believe! Obey Allah, and obey the Messenger, and those charged with authority among you. It is from the Hadiths and Quran Verses, we can understand that, Allah and His Messenger commanded us to follow the Saints(Awliya Allah) and the righteousImams of Ahlul Bayth and those who are given “Permission” (Ijazah) by the Imams and Saints of Ahlul Bayth. A “Sislila” (Chain) which connect your spiritual guide to Prophet (alaihiswalathu wa salam) through a group of successors in an unbroken chain. A “Shaykh” (Spiritual guide) who is given “Ijazah” (Permission) and is authorized by his Shaykh. You may follow any Sufi Way, which meet the above criterion. 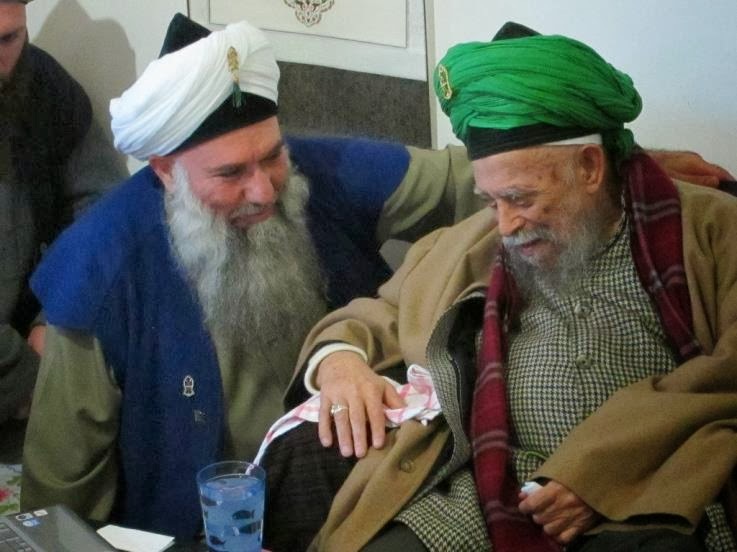 Naqshbandi Haqqani Sufi Order of Sulthanul Awliya Mawlana Shaykh Nazim Al Haqqani and His Deputy Shaykh Abdul Kerim Al Hakkani, named as “Osmanli Naksibendi Hakkani Tarikat” taking it’s lineage to the greatest saints in the past like: Khwajah Muhammad Baha’uddin Shah Naqshbandi Al Owaisi Al Bukhari,Gauz Al Azam Shaykh Muhyiddin Abdul Qadir Al Jilani and Mawlana Rumi (May Allah Sanctify their Noble Secret). Osmanli Nakshibendi Hakkani Sufi Order. He is the Sultan of the Saints, the Qutub and the Ghauth of this era, the one who represents the Prophet Muhammed (p) for these times, the one who holds the secrets of these “end of times”, and of the Mahdi (as). He is a descendant of the Prophet (p), being both Hasani and Husayni from both his parents. He is also a descendant of Ghauth ul Azam Abdul Qadir Jilani from his father’s side and from Mevlana Jelaludin Rumi on his mother’s side, may Allah sanctify their secrets and raise their stations. He was born in Cyprus and constantly travels around the globe bringing the message of peace and light to the whole world. 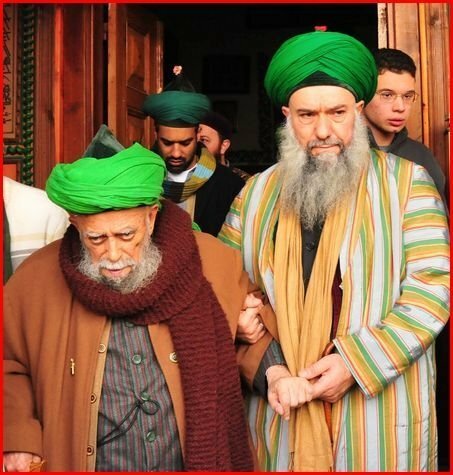 The Order takes it’s name ‘Osmanli Naksibendi Hakkani Tarikat’ from its present Shaykh’s lineage to Ottoman Sulthans. The Silsila is known as “Golden Chain”. The chain which connects to Imam Mahdi alaihissalam. However, the Shaykhs who are descendants of Ottoman Sulthans will be direct Intercessors of Imam Mahdi (alaihissalam), as they are the ones representing the Khilafat and handing over it to the Owner of the time-Imam Mahdi (alaihissalam). Kindly guide that may i bet Baya, as two yr before vi got online baya from silsila qadriya from Pakistan by “MR ILYAS QADRI”.